PDF Image Extractor is the best! Easy to use and intuitive, it saves me so much work getting images out of pdf files. I use it all the time. I installed PDF Image Extractor and converted some images from my pdf files to jpegs. The conversion was flawless. And I really liked the ability to convert only selected files, and even edit images before saving. I highly recommend this software. The interface is great looking and the product is really user friendly. I liked the product for its simplicity, speed, and convenience. This software saves me absolutely hours extracting and converting images from my pdf docs. Thanks"
PDF Image Extractor is really easy to use. The results are great. I have been using it for two months and did not face any problem so far. I am glad I found it. 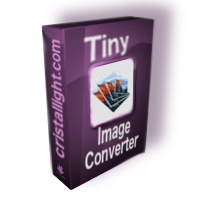 The PDF Image Extractormac image converter that allows you to extract raster pdf images from single or multiple PDF files, preview them, add custom mac image effects if necessary, and save either all of them, or just selected ones to the desired location and file format. The PDF Image Extractor has intuitive interface allows you to accomplish your task in just a few steps. You can Save your money to use PDF Image Extractor. PDF Image Extractor is a standalone program only $9.99. Does NOT require Adobe Acrobat pro which costs hundreds dollars. 10 MB of hard disk drive space.